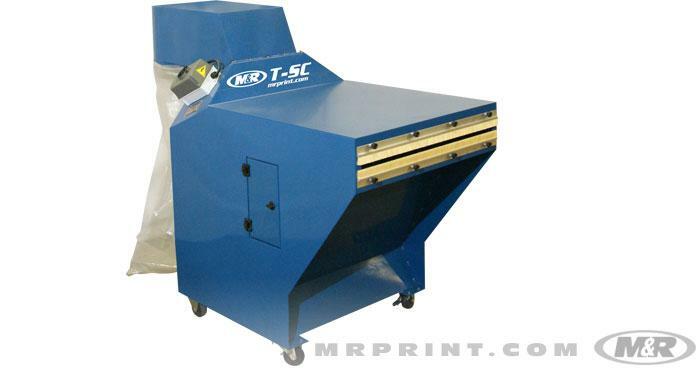 M&R makes a wide range of screen printing equipment, including automatic screen printing presses, manual t-shirt presses, conveyor dryers, flash cures, and screen printing accessories. 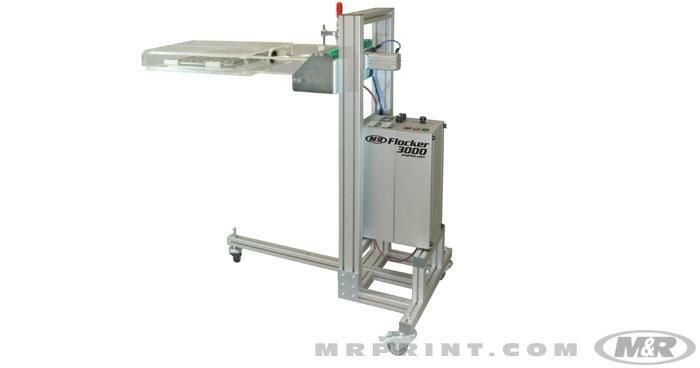 M&R’s Link™ Pallet mobile pallet system (U.S. Patent Nos. 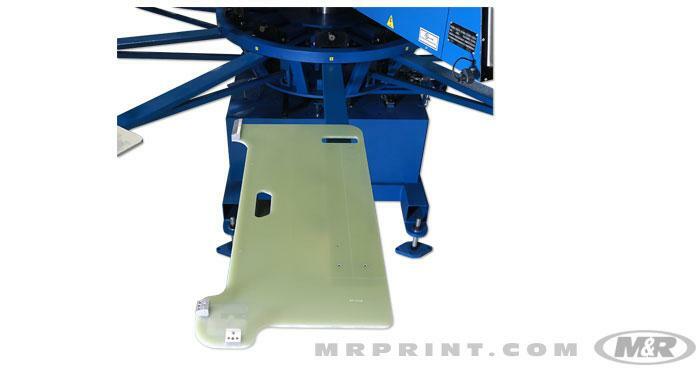 9,315,063 and 9,315,012) makes it easy to move substrates between screen printing presses and direct-to-garment digital printers without loss of registration. The foundation of Link is a pallet base with a built-in micro-registration system and spring-loaded pallet locators. The mobile pallet consists of an aluminum pallet that locks into position on the pallet base. The mobile pallets and the adhered substrate can then be moved from machine to machine at will without affecting substrate registration. The Link Pallet system delivers phenomenal results on garments that require additional colors or types of garment decoration that may not be achievable on a single machine. 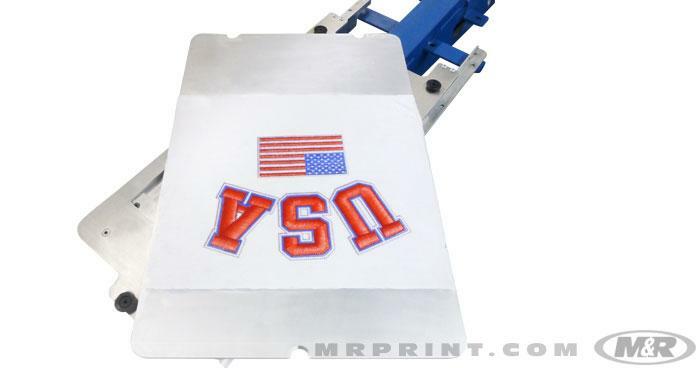 No other registration system for screen printing offers the accuracy and ease of use of M&R’s revolutionary Tri-Loc® and Double Tri-Loc® Rapid Screen Registration Systems. Tri-Loc works flawlessly with conventional screen exposure systems, and it is the essential companion for M&R’s i-Image Series computer-to-screen (CTS) imaging and imaging/exposure systems, which generate screens that are automatically pre-registered for Tri-Loc. 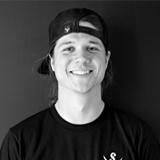 The Tri-Loc system is easy to learn and simple to use—and its return on investment may be faster than any product in the screen printing industry. 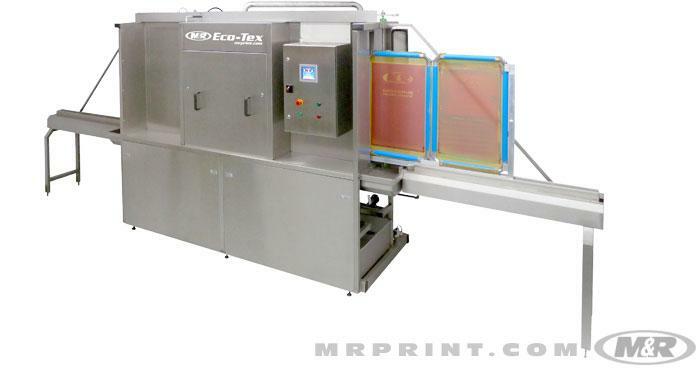 The Eco-Tex™ Modular provides the ideal solution for screen printing companies that want to automate the screen cleaning and reclaiming process while increasing productivity and saving on labor and chemicals. 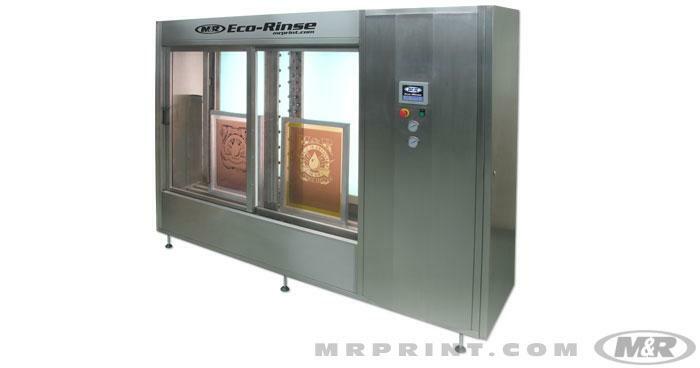 M&R’s Eco-Rinse automates the tedious process of rinsing exposed screens while ensuring consistency and reducing the chance of unintentionally blowing out exposed images. Manually-processed screens often require follow-up rinsing because of incomplete or inadequate processing due to operator fatigue, boredom, or inadequate training. Processing can also vary from one operator to the next. Those problems are eliminated with the consistent screen rinsing available with the Eco-Rinse automatic screen rinsing system. In addition to consistent results, the balanced pressure and even application provided by simultaneous sprays from both sides of the screen maintain screen tension and extend screen life. And since Eco-Rinse processes screens so quickly, per-screen labor costs can be cut by up to half. 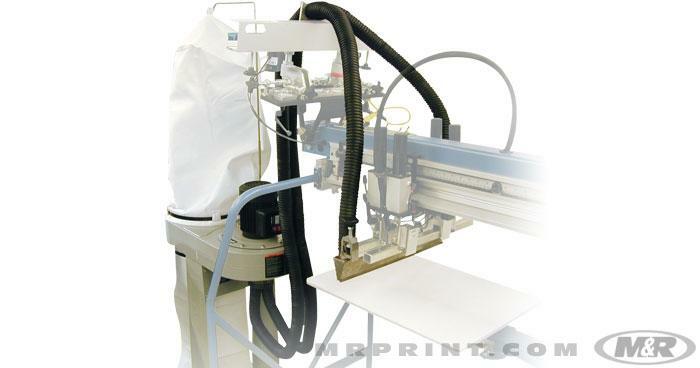 M&R’s Eco-Tex™ automates and simplifies the entire screen-cleaning process, and it handles screen frames up to 132 x 97 cm (52” x 38”). In the process, Eco-Tex reduces environmental impact and lowers operating costs by recirculating screen-cleaning chemicals. 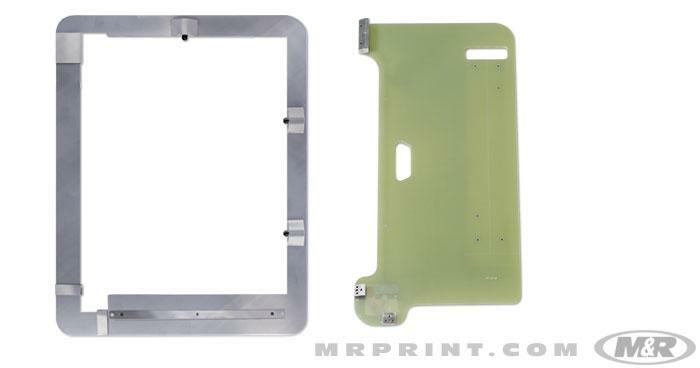 Users have the option of leaving the emulsion intact while removing ink, or of completely stripping ink, emulsion, and other residue from screens. Once the screens have been cleaned, Eco-Tex rinses them with a high-pressure fresh-water power wash. 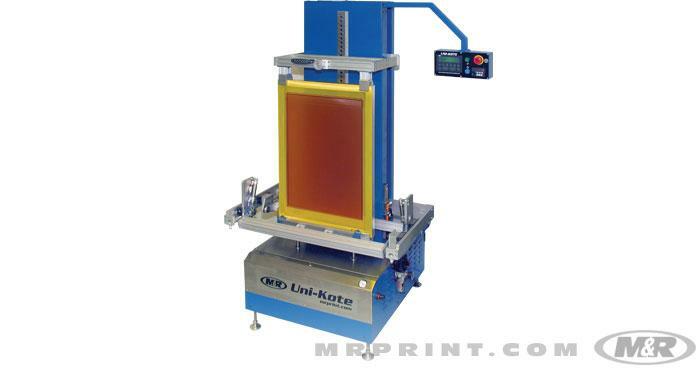 The Uni-Kote™automatic screen coater from M&R brings automated efficiency and consistency to one of the most important steps in the screen printing process. Unlike manual coating the Uni-Kote will not vary in coating speed or pressure, giving you properly coated screens that lead to better image quality, ink deposit and detail in your prints. Flock-Vac™ helps get the most out of flocking by minimizing the mess—and reducing the cleanup effort—typically associated with flocking. M&R’s Flocker 3000™ makes it easy to add tightly-registered multi-color flocking capability to most M&R automatic textile presses. The standalone unit has a 38 x 43 cm (15” x 17”) or 50 x 70 cm (20” x 28”) flock opening, and accommodates frames of (W x L) 66 x 79 cm (26” x 31”) or 79 x 109 cm (31” x 43”). 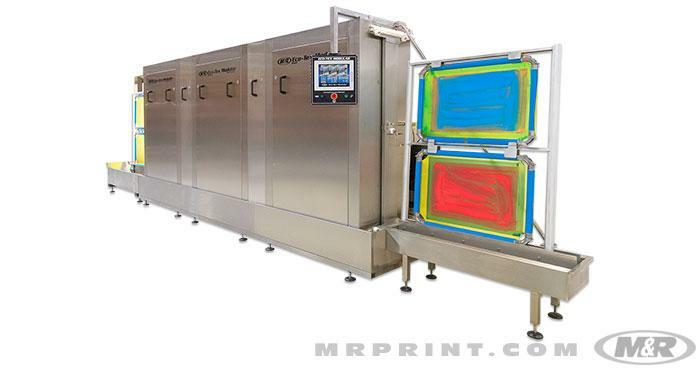 Flocker 3000 is activated by the print carriage, and it’s compatible with M&R’s print-start/print-finish feature, M&R’s Optical No-Shirt Detector, and M&R’s Skip-Shirt foot pedal. Flocker 3000’s dosing brush is driven by a pneumatic cylinder, with speed settings adjusted by a flow control. T-SC™ uses a powerful vacuum system and stiff-bristle brushes to remove loose flocking material from garments after they exit the dryer.